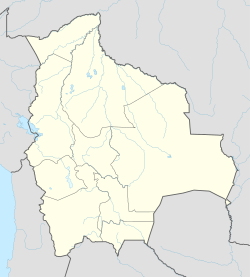 Mocomoco or Muqu Muqu (Aymara) is a location in the La Paz Department in Bolivia. It is the seat of the Mocomoco Municipality in the Eliodoro Camacho Province. This La Paz Department geography article is a stub. You can help Wikipedia by expanding it. This page was last edited on 3 February 2018, at 06:59 (UTC).